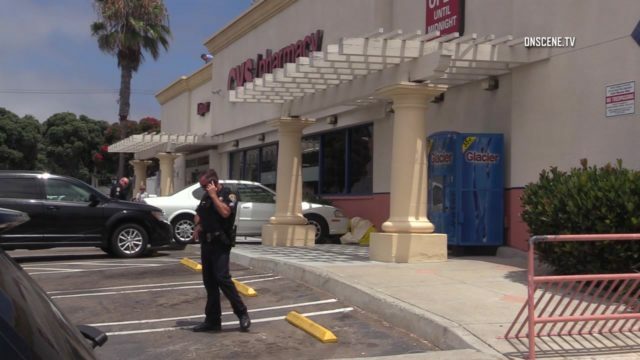 A car careened out of a parking lot at a Pacific Beach pharmacy Friday and struck a man on a walkway in front of the business, killing him. The motorist, a 70-year-old woman, was trying to back out of a parking space at the CVS store in the 4400 block of Mission Boulevard about 11:30 a.m. when she accidentally put the vehicle in drive and accelerated. The car lurched forward, jumped a curb and hit the 52-year-old victim, pinning him to the ground. The man, whose name was withheld pending family notification, died at the scene of the crash. It was unclear if the driver might face charges in connection with the traffic fatality. “Drugs or alcohol impairment are not considered a factor in this accident,” Officer Tony Martinez said.